Election manifestos released recently by the BJP, Congress and CPI(M) seem to show some responsibility towards the declining environmental standards of the country. The Congress manifesto, for instance describes air pollution as a “national public health emergency”. The BJP manifesto promised to reduce pollution levels by at least 35% over the next five years in 102 cities. However, past experience shows that the promises made on paper remain largely unimplemented. Few elected representatives seem committed to improve air quality in their respective cities and constituencies. A recent report by Climate Trends titled, “Political Leaders Position and Action on Air Quality in India” showed that the state governments and MPs in the 14 most polluted Indian cities (as per the WHO 2018 urban air quality database) have done almost nothing to get their cities to attain safe air quality standards. There has been no public consultation, in spite of the data indicating severe levels of air pollution. Kanpur, the most polluted city according to WHO, measured 359 (very poor) on the Air Quality Index (AQI) in December 2018, with air pollution increasing to 3-4 times over the national prescribed safe limits. Meanwhile Kanpur’s Chief Environmental Officer, Kuldeep Misra, rejected the WHO ranking, saying “if the situation was as bad as the WHO describes, we would have been dead by now.” Its MP Murli Manohar Joshi has not engaged with the issue. The warning bells have been ringing for long in the industrial town of Faridabad with all kinds of pollution sources actively functioning. The Haryana state government has been in denial, mostly blaming Delhi for the rising levels of pollution. The apathy has gone to the extent of the state government opening up Aravalis for mining, against people’s’ wish. In Lucknow, BJP MP and home minister, Rajnath Singh’s constituency, PM 10 levels rose drastically. The MP has stayed silent and the BJP has refuted global findings on pre-mature deaths linked to air pollution in the city. Gurugram, with alarming levels of toxic metals in children does not yet feature in National Clean Air Programme (NCAP) of the Government of India. The sole focus in the Government policy and the BJP MP Inderjit Singh Rao’s actions has been on road infrastructure and metro rail. In Jaipur, both the state government and the BJP MP, Ramcharan Bohara have shown interest in solar power. The issue of air pollution is mostly addressed by the citizens. Government of India has initiated National Clean Air Program (NCAP) for 102 non-attainment cities. 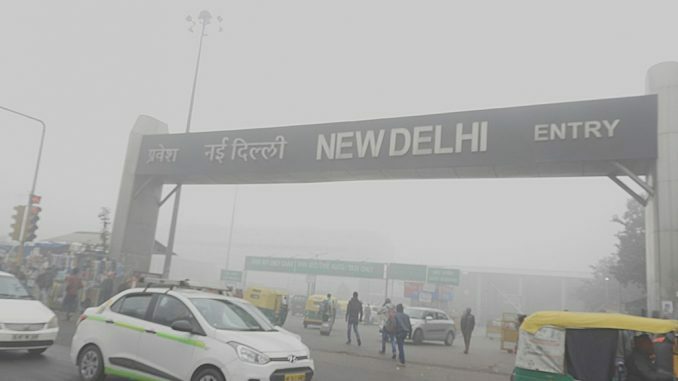 On 20th March 2019 the National Green Tribunal (NGT) has directed the Central Pollution Control Board (CPCB) to expand the list by including other cities and towns which do not meet the prescribed national ambient air quality standards. The tribunal, in its Friday order, also focused on issue of non-compliance where six defaulting states Assam, Jharkhand, Maharashtra, Punjab, Uttarakhand and Nagaland have so far, not submitted their respective action plans with liability to pay environment compensation of Rs 1 crore each if such action plans are not furnished till April 30, 2019. So far, the CPCB has received action plans of 83 cities. In Prime Minister Narendra Modi’s constituency Varanasi, PM10 levels were 140 micrograms per cubic metres in 2014. It rose to 244 micrograms per cubic metres in 2017. While a few knee-jerk actions have been taken by the state and local city government, the focus of the MP has been on beautification and infrastructure. It is needless to say that this did not fully address the primary causes of consistent poor air quality. Delhi has 7 MPs and an elected government with several MLAs. The government institutional machinery however, can at best be described as reactive than pro-active. Instead of instant relief, the city is witnessing criminal negligence and laziness from elected representatives. The solutions are at best piece-meal, limited, and short-term. 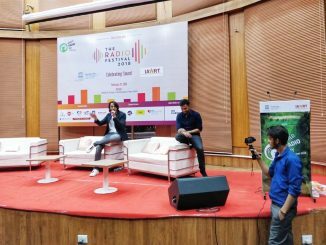 In Srinagar, the state government and the elected PDP MP, Tariq Hameed Karra have so far mentioned the need to conserve natural spaces and resources. However they have not actively taken steps to reduce air pollution caused by domestic use of coal and firewood. In Patiala, which is also known as the ‘cleanest polluted city’, Congress MP, Dr. Dharam Vira Gandhi ignored the issue for most of his tenure. However the state government engaged with central government and Delhi government to gain access to machines for solving stubble burning issue. 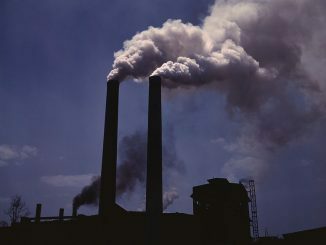 Vehicular pollution and brick kilns emissions have been on the rise in Patna. Recognising this, the state government has begun issuing directives to address the issue. The MP from Patna Sahib constituency has however been seen more active in Delhi ‘smog politics’ than his own constituency. Agra witnessed a crackdown from the state administration on polluting industries and garbage burning. Dr. Ram Shankar Katheria, the MP mostly restricted himself to raising questions in parliament on the issue of air pollution. Similarly, Ajay Nishad, BJP MP of Muzaffarpur has raised questions in Parliament on the impact of polluted air on heritage monuments. Gajendrasingh Shekhawat, BJP MP from Jodhpur showed interest in the issue in Parliament. He seemed keen to learn about government plans to reduce air pollution. However no action seems to have been taken by any elected leader or government agency in the city. It is true that in most cases, local issues are managed by the state governments and their respective departments, leaving the MPs with little scope of bringing the desired change. However, the MPs have funds from the MPLADS to spend on local interventions. In India’s case both the state government and the MPs have been lukewarm or ignorant towards the pressing needs of reaching safe air quality standards. 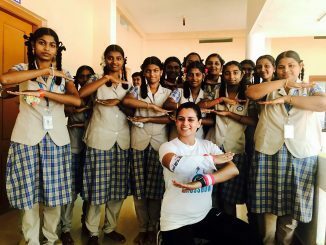 You too can join Srishti Bakshi, as she continues on her 3800-km journey on foot, mobilising and empowering women and girls in the cities and towns that she passes through.